equals with an idea of building multiple foundations and pillars for an under privileged society to thrive in. always requires more from us, but we are committed to face every new dawning day with the same enthusiasm by taking it one step at a time to adopt to adapt and to improve. We are better known as the NRT7 !!! As we pass the first-year milestone since induction the past year has been a challenging year for all of us without any experience in tabling. The support and guidance of our fellow brothers at CRT1 and other Tables carried us a long way to this point. 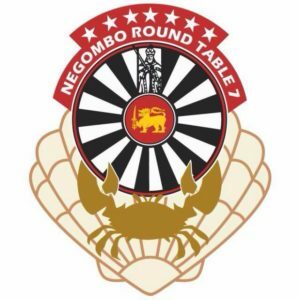 I consider this indeed a privilege and a great opportunity to hold this position as the Negombo Round Table 7’s second Chairman. Our Table is set to execute three main plans for the upcoming year 2017-18. Further Enhance and strengthen inter table relationships. Increase recognition of our table both in the Tabling community and in the community at large. The world needs more Tablers! Building a sustainable and lucrative business venture to create funds to execute our plans in the long run. 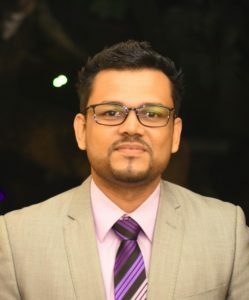 With such a promising plan ahead, I am proud to serve as your second chairman and will do my best to serve you well and to facilitate your efforts to make people’s dreams come true.